File Preview allows you to view the contents of an image file (jpg, bmp, gif, png etc.) before you recover the file. Right-click an image file and click File Preview from the context menu. 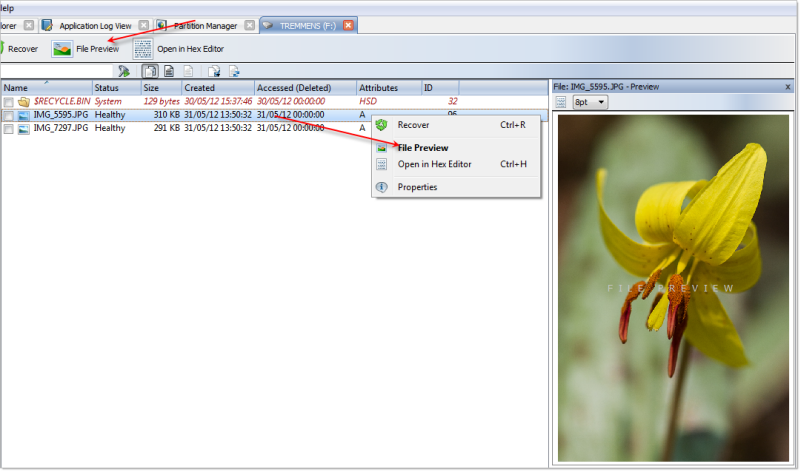 Select an image file and click File Preview from the main toolbar. If the preview file is not an image file, it appears in hexadecimal and text mode.